The San Pedro Police Formation has been slowly growing and with the recent six new officers, the formation counts with 39 policemen. They are tasked in ensuring the protection of life and property on the island of Ambergris Caye. Last week we presented you with two of the six new officers and in this issue, The San Pedro Sun introduces three more police constables. Woman Police Constable (WPC) number 1554 Arilee Young is originally from San Ignacio Cayo. She has recently graduated from the Belize Police Academy and her first placement is at the San Pedro Police Formation. Just as WPC Young, Police Constable (PC) number 1459 Norman Coye Jr is also a recent graduate of the Belize Police Academy and his first assignment was to Ambergris Caye. PC Coye Jr is from Cotton Tree Village in the Cayo District. PC number 1443 Hector Blanco is also new to the police force and he too is a new graduate from the Belize Police Academy. He is originally from Orange Walk Town. The officers commented that they wish to build a good relationship between the residents of the island and the police force. While on Ambergris Caye, the new officers will work as relief/patrol policemen. 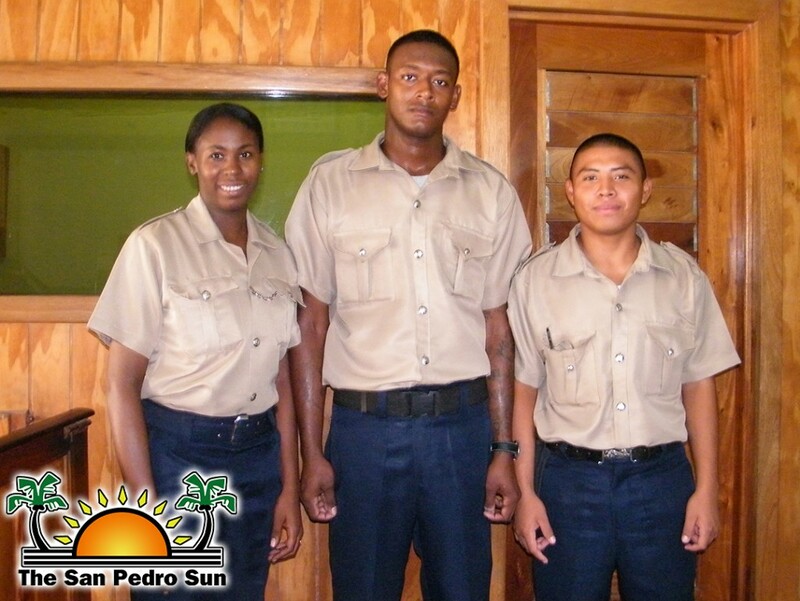 The San Pedro Sun welcomes the three new police officers and wishes them the best while on duty on Ambergris Caye.